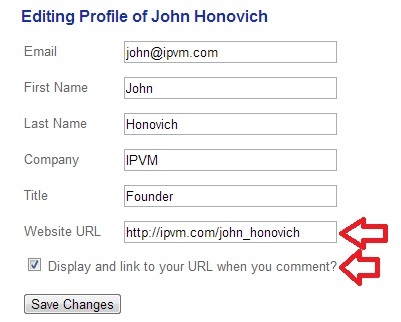 Members, now you can display your company or LinkedIn URL when commenting in IPVM discussions or articles. If you want to get in touch with others or highlight what you do, this is a great way to do so. Again, edit your profile, simply enter in your preferred website URL and check the box to display it. That's it. Add a comment to this post to check it out. Comments (24) : PRO Members only. Login. or Join.